Welcome, and thank you for your time in learning more about me! 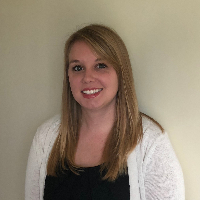 My name is Emmily and I am a Licensed Professional Clinical Counselor (LPCC) in the state of California and a Licensed Mental Health Counselor (LMHC) in the state of Iowa. I have had 6 years experience working in the mental health field and have worked in a variety of settings including home private practice settings, home visits, and community mental health treatment. I have had experience working with a broad range and severity of clinical issues. I have the most experience working with depression, anxiety, crisis intervention, trauma/abuse, borderline personality disorder, and bipolar disorders. I also have experience working with anger management concerns, motivation/self-esteem, grief and loss, life transitions, sleep concerns, relationship issues, and addictions. I am motivated and dedicated to mental health due to my own personal experience. I have had close loved ones living with mental illness and addiction and have seen the difficulties that come with seeking help and overcoming stigma that is still around. The process to get help can be overwhelming and can lead to feelings of frustration and even loneliness. I want to be able to be a guiding light to help you find yourself in your journey of life. My counseling style is warm and approachable. I have experience with various forms of therapy including Dialectical Behavioral Therapy, Cognitive Behavioral Therapy, Seeking Safety, Solution-Focused Therapy, Motivational Interviewing, and traditional psychotherapy. I will use the skills I have to tailor our time together to your needs and meet you where you are at. I strongly believe that you are the expert in your life and your experiences. We are equals and I believe in a true collaboration. I want to be a support for you and treat you with respect, sensitivity, and compassion. This is a really good experience that Emmily helps me to explore myself even though sometimes I may not be seriously mentally unhealthy. Having someone being very natural and helping to dig into yourself and improve the way you think about problems, your perceptions, and where you went wrong is really helpful. Her approach is warm and welcoming, she makes me feel like she's listening and actually cares about what I'm saying or feeling. She checks in if I don't respond for a few days and generally makes me feel important. I didn't realize how much just knowing someone cares enough to respond in a way that shows not only were they listening but that they understand would help me. I'm not easily impressed, but Emmily Weldon impressed me very quickly. Emily Weldon is a great counsler who is supportive, compassionate, and reliable. She's constantly checking up on how I'm doing, listens carefully, and suggest great feedback. I definitely recommend Emily as a counselor, she has provided a huge amount of clarity in my life and continues to motivate me throughout this journey. Emmily is so insightful. She never tells me what to do but guides me so I am able to make positive choices. She has been there for me in a hard part of my life. She is so caring and an amazing listener. I recommend her to anyone. Emmily is a great counselor, she listens well and offers great advice. She has really helped me get out of my slump and back on my feet. I would highly recommend her. She's a tremendous ally and support. Thankful I was connected with this counselor and I'll likely stick to working with her for a while. While being completely professional, Emmily is positive, encouraging, and quickly put me at ease. She has presented me with tools to facilitate communication in between sessions and in doing so helps me to re-focus on my personal goals. She thoroughly listens and adds perspective that I didn't previously consider. I have recommend her to three different people in the time that she has been counseling me. I am very grateful to have her council. Emmily is wonderful, kind, and very supportive. Emmily is very kind, considerate and supportive. She responds quickly and her personality makes her someone very easy to open up to. I look forward to each session. Emmily has been a wonderful person in my time of need. If it had not been for her, I would not be alive and had given up hope. She saved me and has brought me back to my regular self. Emmily Weldon is a really great counselor. She responds in a timely manner and makes you feel very comfortable talking to her. Her responses and solutions work relatively well and helped me get through my problems. She has a very bright personality so it is easy to initiate talking with her. Would you like to write a review for Emmily Weldon? We'd appreciate if you can spend a couple of minutes to write a short review for Emmily Weldon (MS, LPCC, LMHC). This review would be shared with Emmily Weldon. It may also be posted in our website or in Emmily Weldon's profile but it would be anonymous and your identity would be kept completely confidential.